DC (Dean) Erickson is a proud graduate of Brown University, Phillips Exeter Academy and Maine public schools. He’s grateful to fellow Maine native Stephen King for his book, On Writing: A Memoir of the Craft, and to television writer and producer David Milch for his encouragement. Erickson maintains a successful business career that he loves as much as writing and creating. From a former life, he may be known by video game fans as Gabriel Knight from The Beast Within. He lives in California with his wife, Lisa. DC Erickson (Dean), CFA is the founder and CEO of Bionic Capital LLC, a registered investment advisory firm. He created Bionic Capital to serve the investment and wealth management needs of affluent and high-net-worth individuals and families throughout the United States. Dean started his career on Wall Street as an options trader and risk arbitrageur after graduating from Brown University with a degree in mathematical economics. He achieved his CFA designation in 1987. After Wall Street, he spent a number of years in the acting profession. 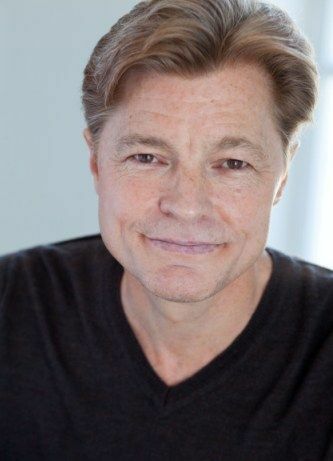 He guest-starred on Frasier, starred as Gabriel Knight in the awarding-winning video game The Beast Within, and starred in several Shakespearean productions. He then turned his focus to writing. While writing multiple movie scripts, he worked on a mystery novel for ten years. He completed No One Laughs at a Dead Clown under the name, DC Erickson. After a computer glitch caused the loss of his outline for novel number two, he decided a new genre was needed. His personal development book, Choose Your Story, Choose Your Life, was the result and was published a few short months later. In the book, he shows how the stories we tell about ourselves can affect the quality of our lives. He offers an innovative exercise to help you know whether you are telling yourself and others your very best, or very worst, story. In his latest book, Act. Adapt. Achieve., he continues to encourage readers to live their best lives. This book guides readers to take necessary actions to achieve their goals and empowers them to adapt when things do not go as planned. Prophetically, he was voted Most Versatile by his high school senior class a long, long time ago. More recently, he was elected to the Midcoast Maine Sports Hall of Fame. Since 2006, he has worked full-time in the investment advisory business, and, since 2009, at Bionic Capital LLC. In 2011, he was profiled in REP magazine. Dean has developed Bionic-branded companies since 2003. In 2014, he created Bionic Ventures LLC as a company startup incubator in order to “Grow Companies for Good.” Bionic Ventures currently operates under registered fictitious business names (FBNs, also known as dba’s), AbStar Fitness and Startup Domains. It supports other entrepreneurs in their quests to develop their own products and companies. The first of several AbStar Fitness products for the home and gym is the patented AbStar Core Trainer. Marketed under the AbStar® brand, it is available through AbStar.com.